CLEARink’s breakthrough reflective technology offers full motion video on an ultra low power reflective display using existing display fabrications to realize affordable pricing. 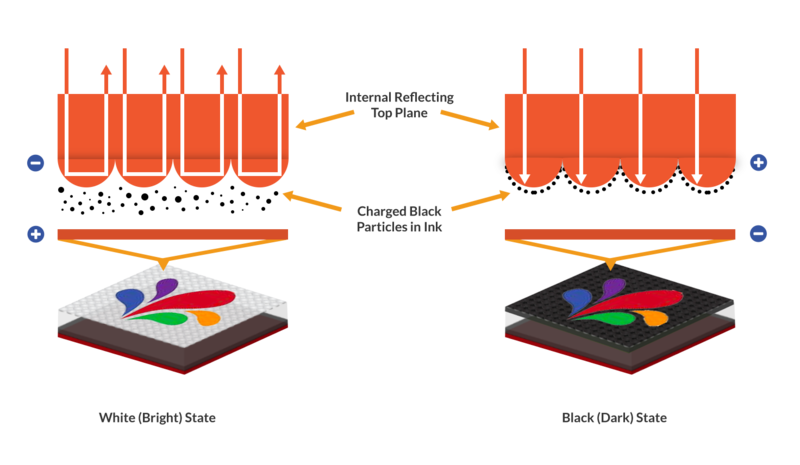 CLEARink display technology is based on the use of charged particles in a fluid to modulate the total internal reflected light from the optical structures incorporated into its novel reflector film. Watch this short animated video to learn how it works. phones, due to their lower power consumption and perfect outdoor readability. CLEARink is a breakthrough reflective technology that offers all the pros of current screens — LCDs, LEDs, E-paper — with none of their downsides. Unfortunately, current reflective technologies do not deliver on video or cost-efficiency. 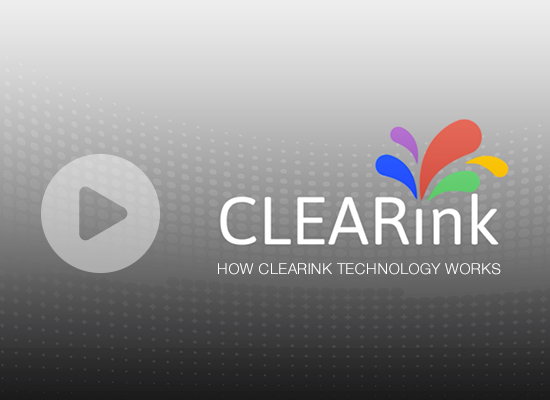 CLEARink’s technology is based on varying the brightness of a specially designed reflector film by modulating the total internal reflection of ambient light from the film, using a single electrically charged particle suspended in a liquid. Power usage well below that of other display technologies such as LCD or OLED, and only slightly above traditional monochrome reflective displays.